JK830, the new all-in-one DTH drilling rig which features JK Drilling's latest automation technology, is efficient, reliable and easily operational. With a FOPS-approved cabin coming standard, the rig is also equipped with automatic pipe exchanger and widened heavy-duty undercarriage that can provides both fast maneuver and better safety. The hydraulic dust collector meets the requirement of environment protection and is a reliable solution to modern mining with less environmental impacts. 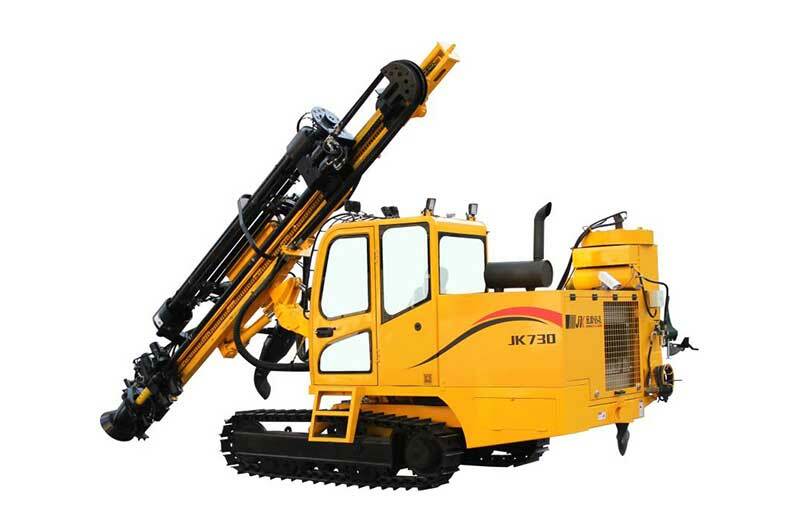 JK730 automatic crawler mounted drilling rig features its lower operation cost and humanized design. It adopts a powerful diese engine and hydraulic oil pump station assembly to generate power, allowing rigs to rotation, feeding, lifting, walking and angle positioning. During operation, only the percussive hammer consumes the compressed air. In contrast with conventional pneumatic drill rigs, JK730 consumes about 40% to 50% less energy (fuel or electricity), and the air displacement of matched air compressor decreases 30% to 50%. We design and manufacture several types of LED display, each of them meeting the demands of different markets and usage situations, whether they are outdoor or mobile advertising, indoor events, sports events or traffic design and manufacture several types of LED display, each of them meeting the demands of different markets and usage situations, whether they are outdoor or mobile advertising, indoor events, sports events or traffic signs. In contrast with pneumatic drill rig, the air displacement of matched air compressor reduces 30% to 50%. 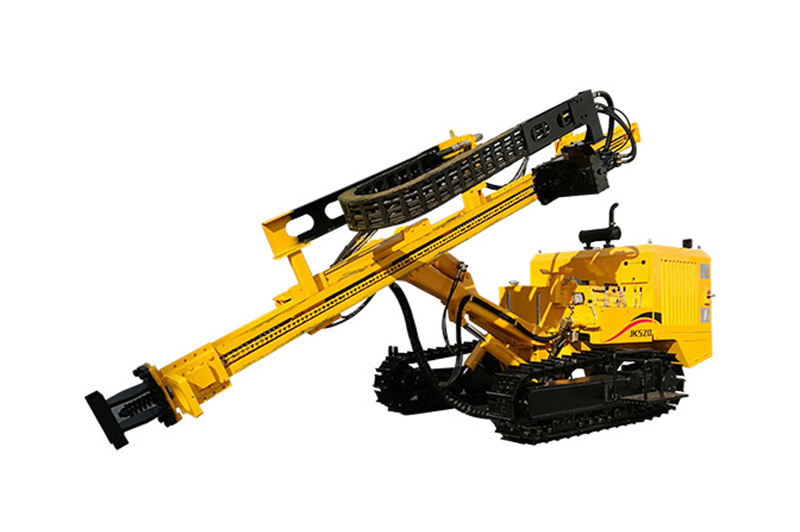 JK610 internal combustion (electric) crawler mounted hydraulic DTH drill rig, is the latest updated product of "Sharp Sword" series, featuring its better performance, lower operation cost and humanized design. It adopts a 70kW Yuchai diesel engine and hydraulic oil pump station assembly to generate power, allowing rigs to rotation, propelling, lifting, walking and angle positioning. During operation, only the percussive hammer consumes the compressed air. In contrast with conventional pneumatic drilling rigs, JK610 consumes about 40% to 50% less energy (oil or electricity), and the air displacement of matched air compressor decreases 30% to 50%. JK610 is equipped with dust collecting system, and wet type dust collector is optional as long as water is accessible on site. JK610 is mainly applicable to blasting borehole drilling process of hydro project, open pit mining, quarrying, road construction and defense project. Low operation cost and humanized design. It is applicable to the blast hole drilling process of hydro project, open pit mining, quarrying, road construction and defense project. 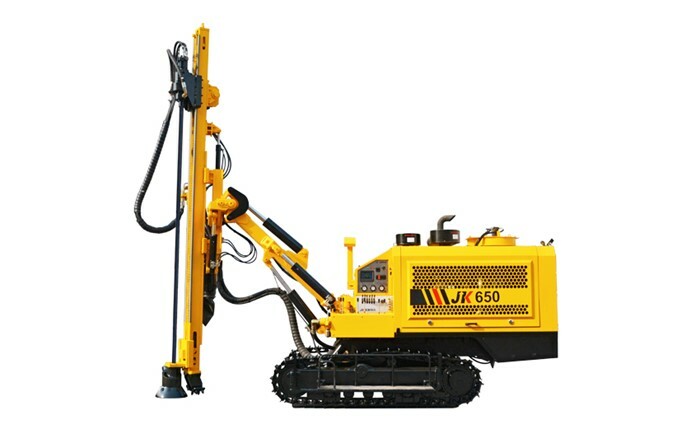 JK590C / JK590 are the new generation of internal combustion (electric) crawler mounted hydraulic DTH drilling rig, the latest updated version of JK590 series. In contrast with the last generation, they feature lower operation cost and humanized design. They adopt a 70kW Yuchai diesel engine and hydraulic oil pump station assembly to generate power, allowing rigs to rotation, propelling, lifting, walking and angle positioning. During operation, only the percussive hammer consumes the compressed air. In contrast with conventional pneumatic drill rigs, JK590C/JK590 consume about 40% to 50% less energy (oil or electricity), and the air displacement of matched air compressor decreases 30% to 50%. Compared with JK590, JK590C is additionally equipped with dust collection system, and wet type dust collector is optional once water is accessible on site. JK590C/JK590 are mainly applicable to blasting borehole drilling process of hydro project, open pit mining, quarrying, road construction and defense project. It features its compact design, small footprint, and humanized operation. It is applicable to the blasting borehole drilling process of hydro project, open pit mining and road construction. 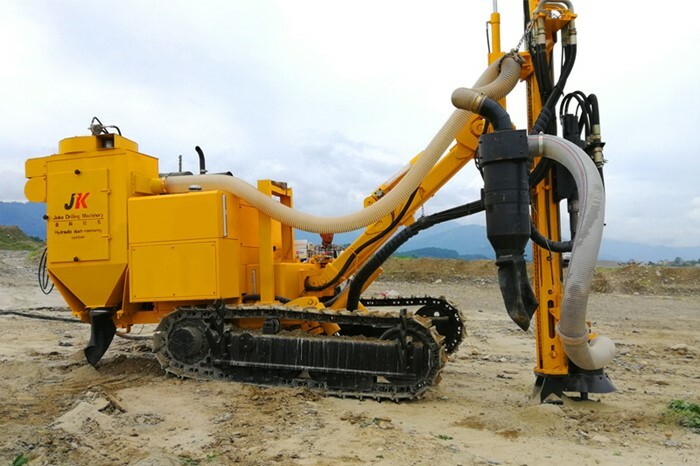 JK520 internal combustion (electric) crawler mounted hydraulic DTH drilling rig is the latest updated product of the "Sharp Sword" series, specially designed for the hydropower project and quarry mining project. JK520 can drill boreholes of various angles, ranging from horizontal angle to vertical angle. It boasts its better performance, compact design, small footprint and humanized operation. JK520 is equipped with environment-friendly dry type dust collector, and as long as water is accessible on working site, wet type dust collector is optional. Advanced Technology, easy to handle and operate. 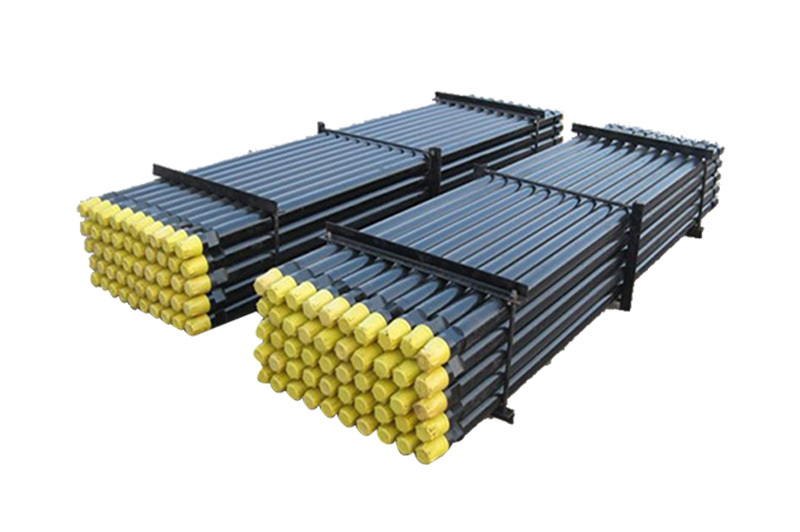 CM458 is applicable to all kinds of anchor supporting operation, grouting hole drilling for cofferdam, dam, and base reinforcement. Newly designed hydraulic clamp makes operation easier. 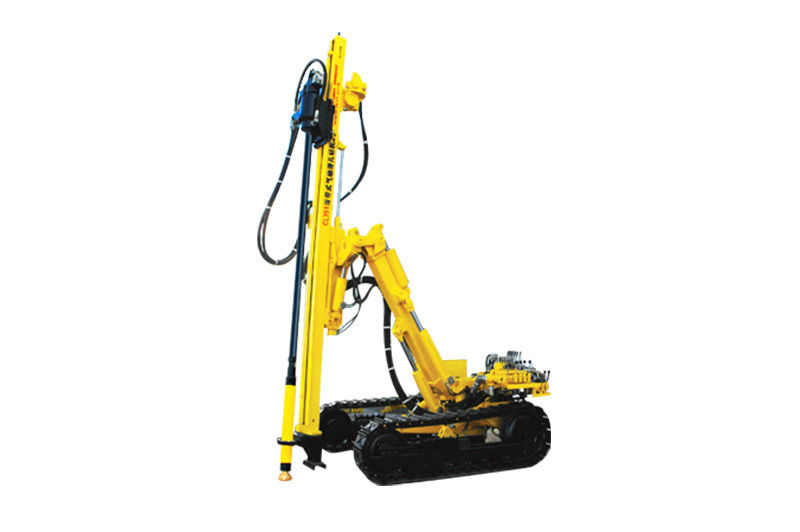 CM458 internal combustion (CM458D Electric) crawler mounted versatile anchor rig adopts diesel engine and hydraulic oil pump assemblies to provide power, allowing rigs to finish moving, rotating, propelling and lifting, as well as angle positioning. During drilling，only the percussive hammer consumes compressed air. CM458 is applicable to all kinds of anchor supporting operation. In addition, the rig is also applicable to the grouting hole drilling for cofferdam, dam, and base reinforcement. Newly designed hydraulic clamp is a very useful device making operation easier. In contrast to the pneumatic drilling rig, energy consumption (diesel or electricity) saves about 40% to 50%. 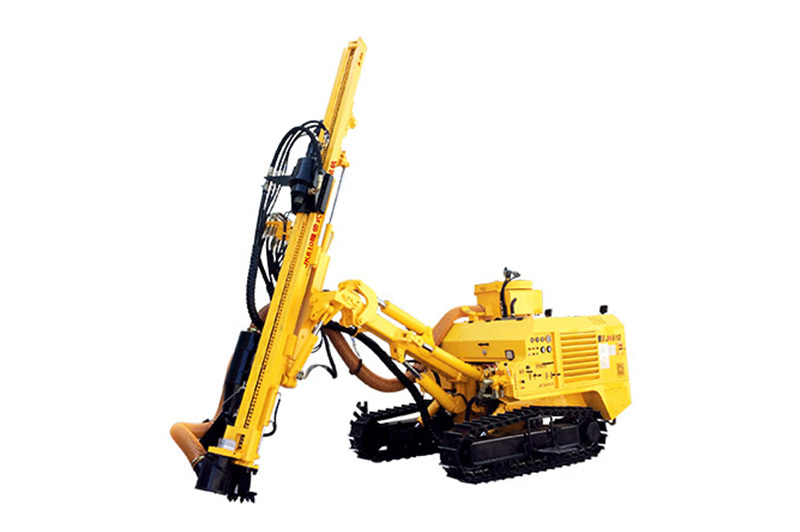 CM358A crawler mounted hydraulic DTH drilling rig is mainly applicable to the blast hole drilling process of open pit mining, quarrying, hydropower project and road constructions. 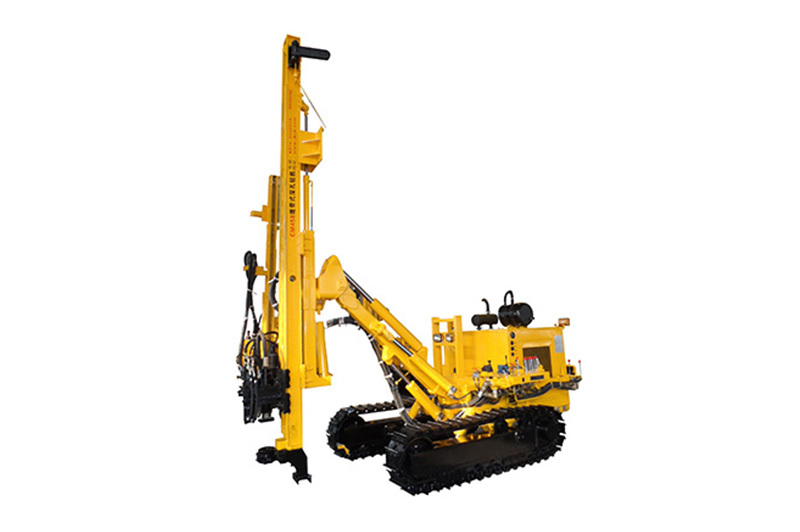 CM358A crawler mounted hydraulic DTH drilling rig adopts diesel engine (or electric motor) and hydraulic oil pump assembly to provide power, allowing rigs to finish moving, rotating, feeding and lifting, as well as angle positioning. During operation only the percussive DTH rigs consumes compressed air and in contrast to the conventional pneumatic rigs, CM358A saves about 40%~50% of total energy. This rig is mainly applicable to the borehole drilling process of mining, quarry, hydropower and construction project. 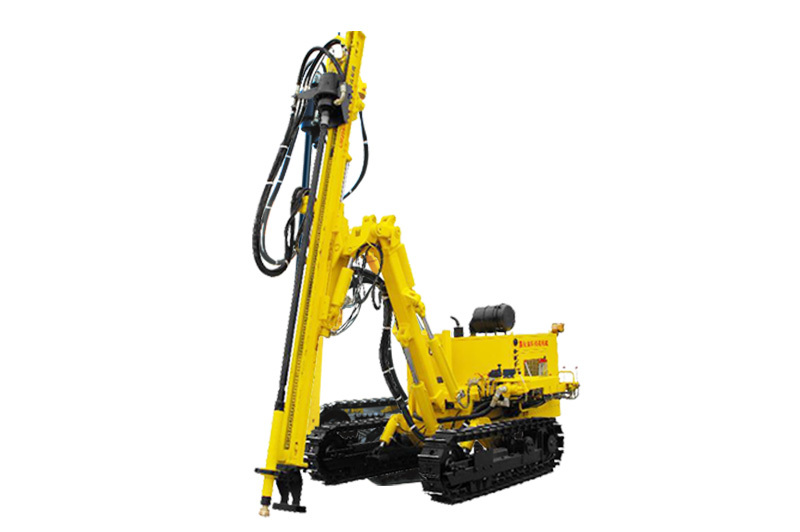 CL351 crawler mounted pneumatic drilling rig, driven by compressed air, is equipped with powerful pneumatic motor, heavy-duty hydraulic boom, and all key parts are imported to secure rigs' quality. It's mainly applicable to the borehole drilling process of mining, quarry, hydropower and construction project. Its smaller size can be adapted to various construction sites. It is applicable to the drilling process of water wells, monitor wells and geothermal wells, etc. 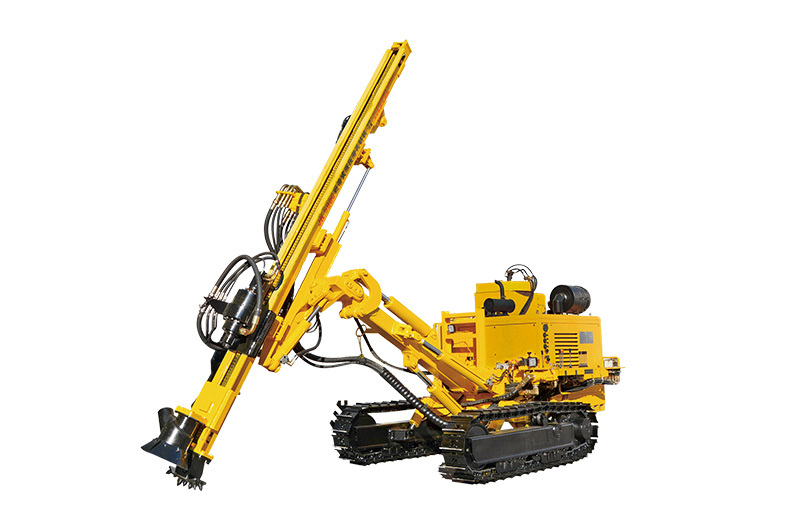 JKS300B crawler mounted versatile well drilling rig is a new type of efficient and versatile hydraulic rig. It is mainly applicable to the drilling process of water wells, monitor wells, and geothermal wells. 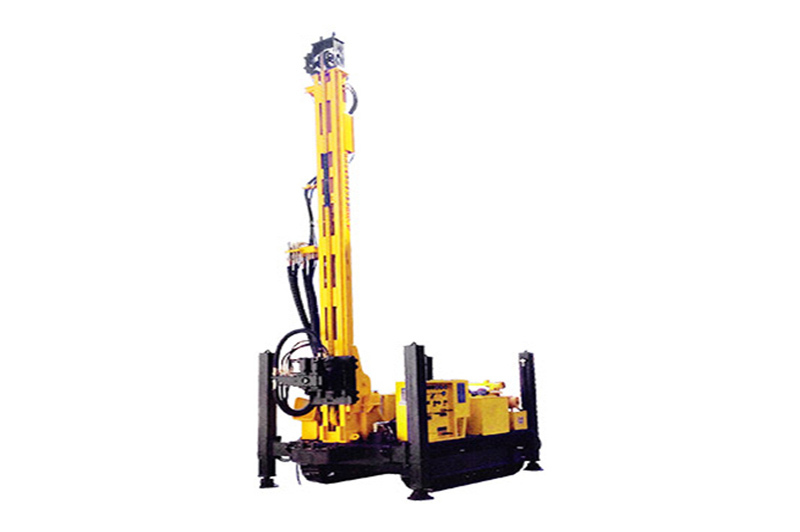 When drilling in the rock layer, the rig adopts DTH hammer for penetration and compressed air for cleaning, with a penetration speed being dozens of times quicker than conventional rotation rigs. In loose rock, the rig employs a cutting bit or cone bit and uses mud to clean the dirt, its versatility suiting for all kinds of complex geological conditions. Winch can lift stuff upwards of 6m, facilitating installing pipes. Hydraulic supporters facilitate the rig erection on site without crane. Smaller size makes it adaptable to various kinds of construction sites. Applicable to various working site. 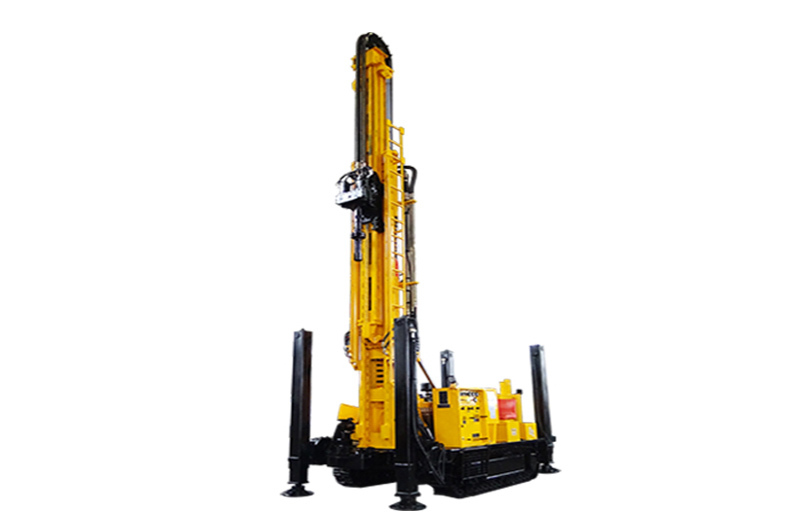 JKS380S crawler mounted telescoping mast drill rig is a new, efficient, multifunctional hydraulic well drilling rig, mainly applicable to the drilling process of well, monitor boreholes and geothermal boreholes. 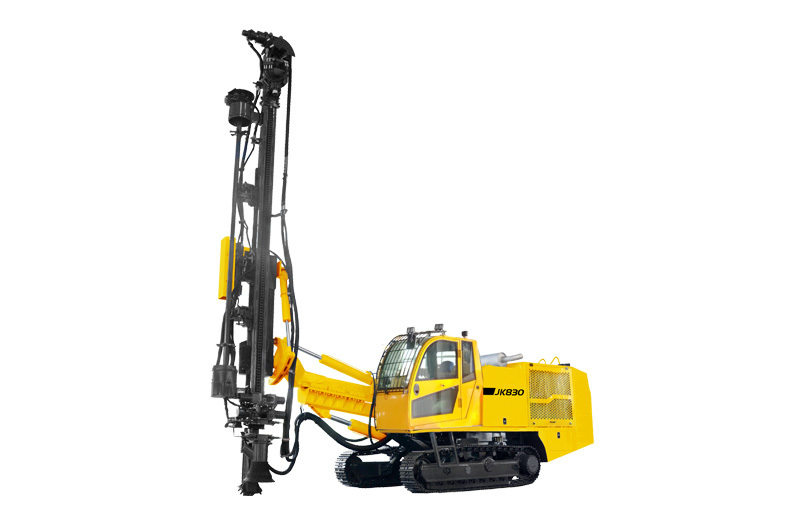 When drilling in the rock layer, the rig adopts DTH percussive hammer for penetration and compressed air for cleaning, with the penetration speed being dozens of times quicker than conventional rotation rigs. The rig is able to handle casing size up to 6 meters. Hydraulic supporters used facilitate the rig erection on site without crane. A world-leading provider of industrial productivity solutions. Suitable for various drilling operations, including rotary percussive drilling, DTH drilling, coring, auger drilling and more. Founded in 1873, Atlas Copco is a multinational industrial corporate group headquartered in Stockholm, Sweden. It's a world-leading provider of industrial productivity solutions. It develops and manufactures industrial tools, air compressors, construction and mining equipments, assembly system and provides relevant services. 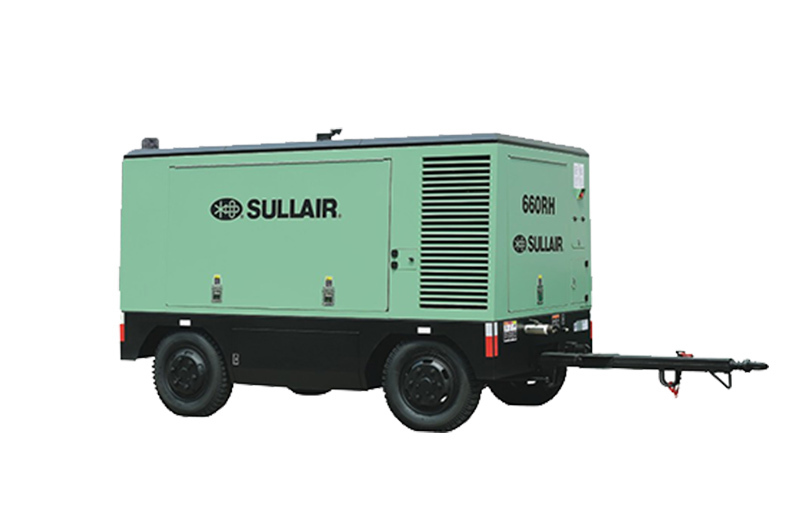 Sullair is the world’s largest manufacturer of rotary screw air compressors. Sullair is the world's largest manufacturer of rotary screw air compressors. It was founded in 1965 and headquartered in Michigan City, Indiana, USA. As a pioneer in the compressor field, Sullair's manufacturing technology which applies to rotary screw air compressors has reached a top level. 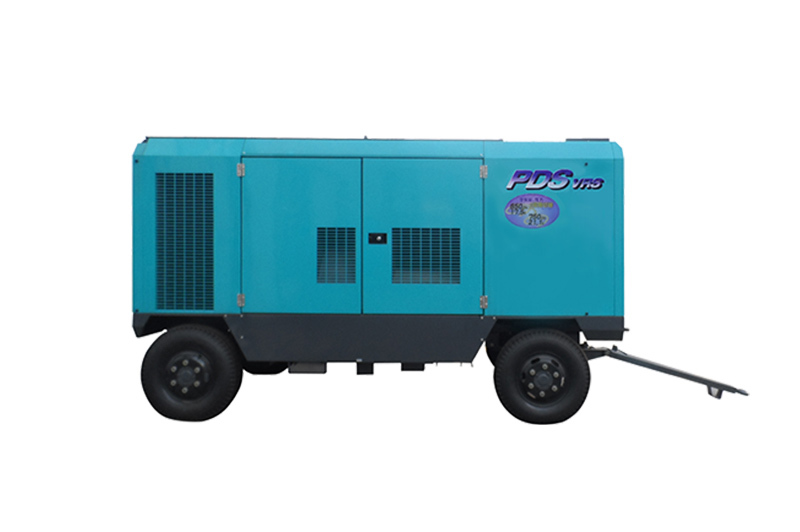 Furthermore, Sullair has been globally considered a premium air compressor manufacturer. Airman is one of the largest air compressor manufacturers in the world. Airman is one of the largest air compressor manufacturers in the world. With dozens of manufacture plants spreading in Asia, North and South Americas, Australia and Europe, Airman’s production line includes centrifugal compressor, rotary screw compressor, scroll compressor and piston compressor, which are widely used in industrial plants, military and construction. 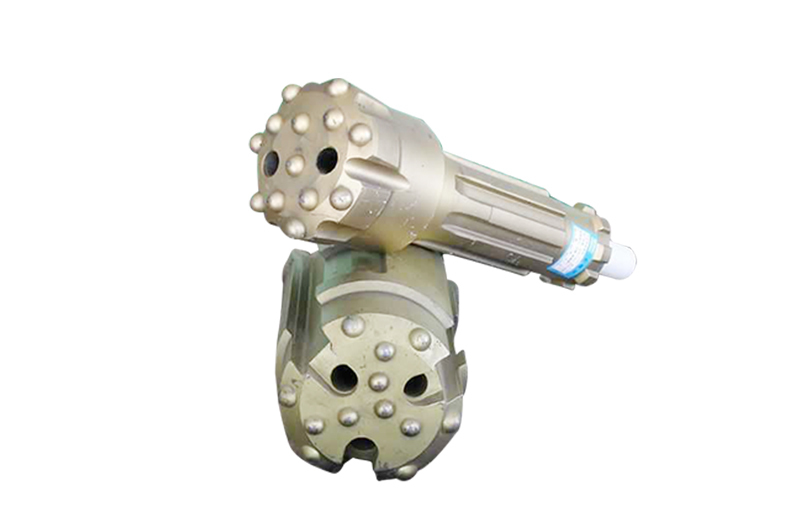 DTH drilling method is specially designed for drilling various rock formations. The drill bits touch the rock formations directly. They are suitable for fast penetration rates in medium to hard rock formations and designed for high air pressures and good flushing capacity. As the outcome of JK Drilling-Atlas Copco alliance applying expertise from both sides, the outstanding All-In-One drilling rig-JK650 can offer you a totally different drilling feeling. JK650 is an All-In-One DTH drilling rig, which brings you more automation, higher working efficiency, better reliability and simpler operation. JK650 is the integration of drilling rig and air compressor, the design has many advantages like facilitating air compressor transport and management on mining site, retaining more air energy and requiring less manpower. The equipped high-performance hydraulic dust collecting system meets the latest environmental protection regulations and it's a reliable solution to realize the modern green mining. 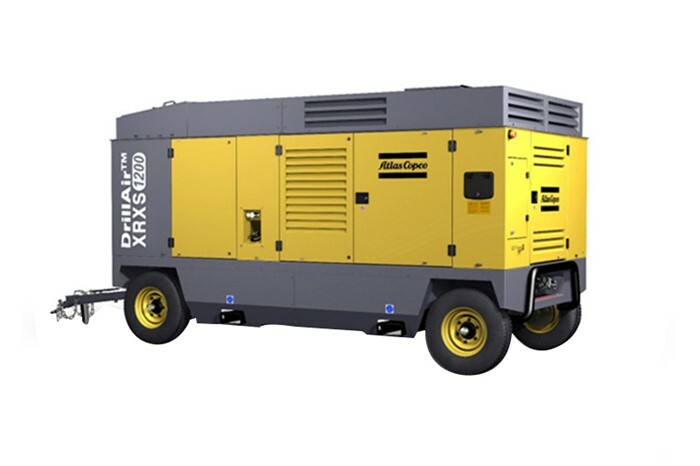 The high-output Atlas Copco air compressor delivers pressure of 17bar and FAD of 17m³/min. Powerful and reliable, it suits rock formations of various hardness and offers high penetration rate with ease. JKC series hydraulic dry type dust collector is specially designed for JK's DTH drilling rigs. It substantially extends drilling rig's service life and protects operators from dust pollution. Efficient pulse dust collector, boasting efficient and stable dust collection performance, large air volume treatment capacity, easy operation and excellent cleaning result, long service life and small maintenance workload.